For anyone facing a divorce, it is clear that divorce and other family law matters involve much more than just the legal considerations. These are deeply personal matters that need to be handled by a lawyer with equal parts legal knowledge and personal compassion. 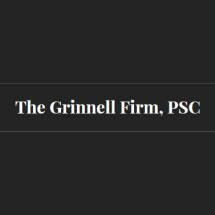 At The Grinnell Firm, PSC, we have the experience to find the legal solutions you need and the compassion to provide you with personalized service and understanding throughout your case. We have represented many clients in a range of divorce and family law matters throughout the areas of Richmond, Florence and Lexington, Kentucky. We take a personalized interest in our clients' situations, and we will fight for you every step of the way. Attorney Eric Grinnell has represented many clients through the process of divorce and other family law matters. In that time, we have found that most clients benefit from the mediation process. In mediation, divorcing couples can work out solutions in a more private and amicable setting that allows them a much greater degree of control over the details of visitation schedules, complex property division and other matters. Call us right away to schedule a consultation with an experienced divorce lawyer from our firm.